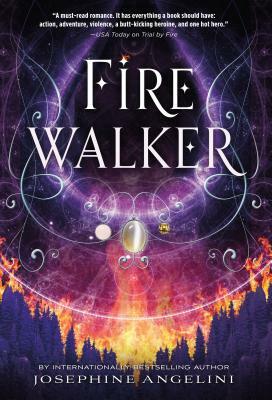 Firewalker (The Worldwalker Trilogy #2) (Hardcover) | Eagle Harbor Book Co.
Magic, mayhem, and travel between parallel universes to battle your other self? Yes, please! Ages 12-18. Josephine Angelini is the internationally bestselling author of Trial by Fire, Firewalker, and the Starcrossed series. She is a graduate of New York University's Tisch School of the Arts in theater, with a focus on the classics. Originally from Massachusetts, Josie now lives in Los Angeles with her screenwriter husband, her daughter, Pia Marie, and three shelter cats.